The 2019 Australian federal election will be held on 18 May to elect MPs and Senators to the 46th Parliament of the Commonwealth of Australia. The second-term incumbent minority Coalition Government, led by Prime Minister Scott Morrison, is attempting to win a third term against the Labor opposition, led by Opposition Leader Bill Shorten. 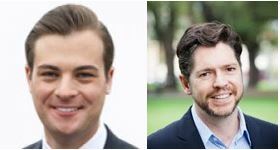 In what has become a pre-election tradition for the Melbourne Forum, we have invited two leading political analysts who have worked at the coalface for both the Liberal Party and the Australian Labor Party to help us make sense of the campaign ahead. Gideon Rozner is the Director of Policy at the Institute of Public Affairs (IPA). Prior to joining the IPA, Gideon spent several years practicing as a lawyer at one of Australia’s largest commercial law firms, as well as several months as interim general counsel of an ASX-200 company. He has also served as an adviser to ministers in the Abbott and Turnbull Governments, advising on areas as diverse as electoral reform and economic development in northern Australia. Gideon has been published in a number of news outlets including the Australian, the Daily Telegraph, Herald Sun, the Age and the Spectator Australia. He has also appeared on Sky News, 2GB, 3AW, ABC TV and Network Ten’s The Project. Nicholas Reece is a Principal Fellow with the Melbourne School of Government, and Director of Strategy, Policy and Projects at the University of Melbourne. Nick has considerable of experience in both politics and policy making at the highest levels of government, including in his time spent working for Prime Minister Julia Gillard and Victorian Premiers Steve Bracks and John Brumby. Key roles during this period included Director of Strategy, Head of Policy and Deputy Chief of Staff. He was also the Secretary and Campaign Director of the Australian Labor Party in Victoria. Nick currently serves as a Councillor for the City of Melbourne, where he is the Chair of the Planning portfolio. He hosts a TV show, Politics HQ, on Sky News and is a specialist commentator for the network. Nick is also a director of the global men’s health movement Movember and a regular columnist with the Herald Sun and the Age.